We can help minimize your symptoms. We can help ease your pain. TREATING PATIENTS WITH CRANIOMANDIBULAR DISORDERS, CHRONIC PAIN, AND OBSTRUCTIVE SLEEP DISORDERS. Patients are referred by all medical specialists, as well as by general dentists. Careful patient diagnosis occurs within a model that includes an initial phone contact, a comprehensive history, joint vibration analysis,imaging when indicated, and a comprehensive examination. Non-surgical, diagnostically driven treatment is the key to the patient care employed at the Allentown Pain & Sleep Center. Based on the patient’s symptoms, the Center incorporates both permissive and demand appliance therapy. The key role of parafunction is emphasized. Supportive therapy, including physical therapy modalities, and injection therapy are prescribed as necessary. Drs. Polit and Malizia employ outcome measurement techniques and focuses on logical therapy and recall systems. The pain and discomfort associated with most TMJ disorders can be managed with conservative, self-managed care or non-surgical therapies. 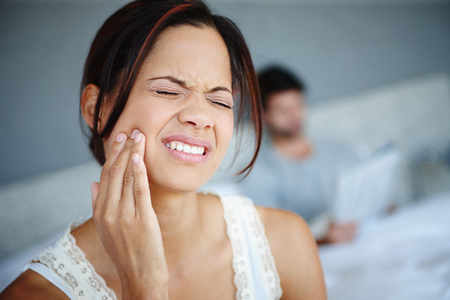 Therapy for TMJ problems can range from simple measures to extensive therapy. The most significant component of sleep apnea that has captured attention is its association with loud snoring, a common complaint of a bed partner. Sleep apnea, a potentially life-threatening condition, is one of the most under diagnosed sleep disorders. 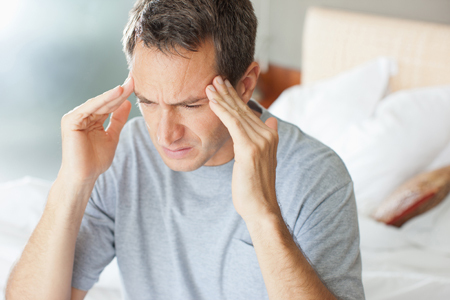 The two most common primary headache disorders are migraine and tension-type headache. The single most important thing is to identify the symptoms correctly, including the quality, intensity, frequency, and accompanying signs of the headache complaint. Patient Renae that has been through the ENT service multiple times a year for 3 consecutive years. She came to our service with very little expectation and was thinking her pain maybe not treatable and stated “I’m questioning myself if this pain is real because no service can resolve my issue.” Renae had chief complaint of ear stuffiness and pain that radiated from her ear to the angle of the jaw. Our clinical exam exhibited that Renae had bilateral TMJ pain confirmed by palpation, bilateral stylomandibular ligament insertion tendonosis and a diurnal and nocturnal bruxing issue. Renae was treated with a series of bilateral stylomandibular ligament insertion injections, bilateral temporal tendon injections and bilateral suboccipital injections (that we term the “Blume”). Renae was provided with daytime and nighttime orthotics to control the bruxing habits. Within a few months, (September 24th to January 12th ) providing an injection series and orthotic daily use, Renae had her ear pain and radiating symptoms into her jaw her symptoms were almost completely resolved with a small amount of tinnitus remaining. All areas of palpation were negative. Patient Tina had 7 years of right sided ear pain that was becoming bilateral and finally (mis)diagnosed as trigeminal neuralgia (one of the common diagnosis’s we see is Trigeminal neuralgia), which becomes the default diagnosis for facial pain with an unclear etiology. Tina had an extracted upper right molar and a root canal on the adjacent tooth. Tina’s clinical exam showed positive bilateral stylomandibular insertion tendonosis (Ernest Syndrome), which was treated with stylo injection series from June to September. Orthotics to control bruxing habits and reduced her a pain from a right sided facial pain from a 10 (June), to a 0.5 by September. Tina refused medication that would very likely had reduced her symptoms to a zero. Patient Rose had been seen by neurology for 17 years in a attempt to control her migraine issue. She was referred our service with a chief complaint of she a 14 day headache that had been continuous. We treated Rose with bilateral suboccipital injections (Blume), and daytime/nighttime orthotics. Rose has had no significant headache at last report (6 months). Most cases do not improve that quickly but it can happen. Patient Carlos was hit in the head with a golf club on the right side on the head above and in front of his ear (frontal parietal suture line). He had been treated by neurology with multiple medications for his right-sided headache for five years. The proper diagnosis was auriculotemporal neuralgia. Carlos was treated with a series of auriculotemporal nerve blocks with anesthetic and corticosteroids. Also, daytime/nighttime orthotics. Carlos was almost pain free in three months with our treatment.